Stephen recited "Six Men of Indostan." 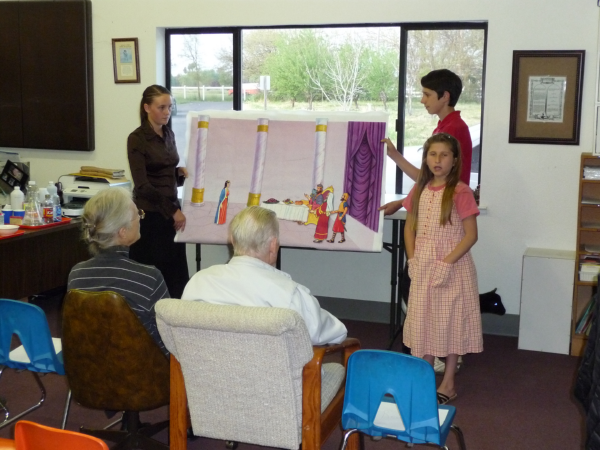 Nikki told the Biblical story of Queen Esther using felts. Andriana attempted to burn a $20 bill. 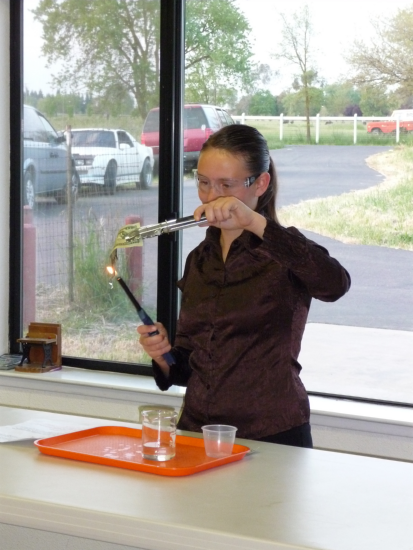 Andrew introduced us to the fascinating world of polymers. Davey used a jar and several household products to demonstrate the layers of the atmosphere. Maya did a fingerplay of the Biblical story of Jonah. Megan dressed up as Sacajawea and told Sacajawea's interesting life story. Ally, too, dressed up. She then shared the story of Remember Allerton--a pilgrim child. Mikey finished off the program by crushing cans to demonstrate atmospheric pressure. 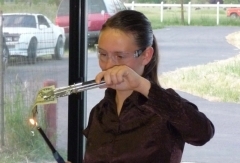 You can read about all of this in detail in the next issue of the Small Cloud Chronicles--Spring 2011. 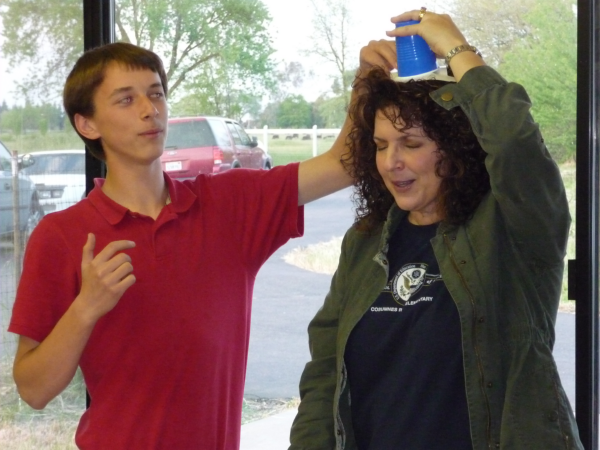 Here Andrew demonstrates a characteristic of polymers with his willing volunteer Barbara--our local newpaper reporter. 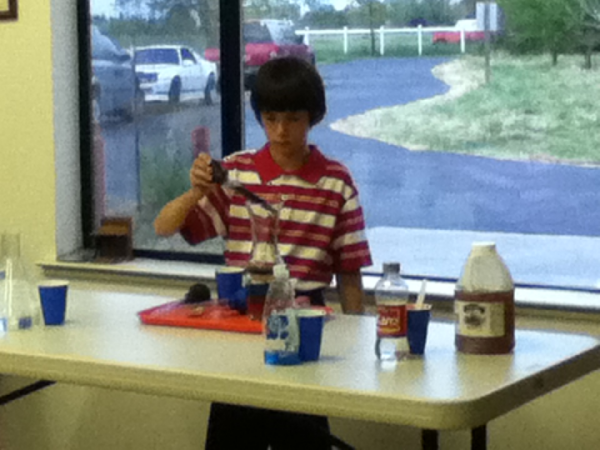 Davey--filling a jar with different household substances to demonstrate the layers of the atmosphere.